As soon as my mum gave me a date for visiting Yorkshire, I was making visual maps and virtual lists of all the places I wanted to visit. The deal was that if we dedicated a day to seeing relatives, I was allowed to pick activities for the rest of the weekend, and I knew exactly where I wanted to be on the 1st of September – Hogsmeade. In the Harry Potter books, the 1st is the day that all wizards and witches board the train to Hogwarts from Platform 9 3/4, and it’s become a bit of a tradition for people to gather at Kings Cross on that very day. 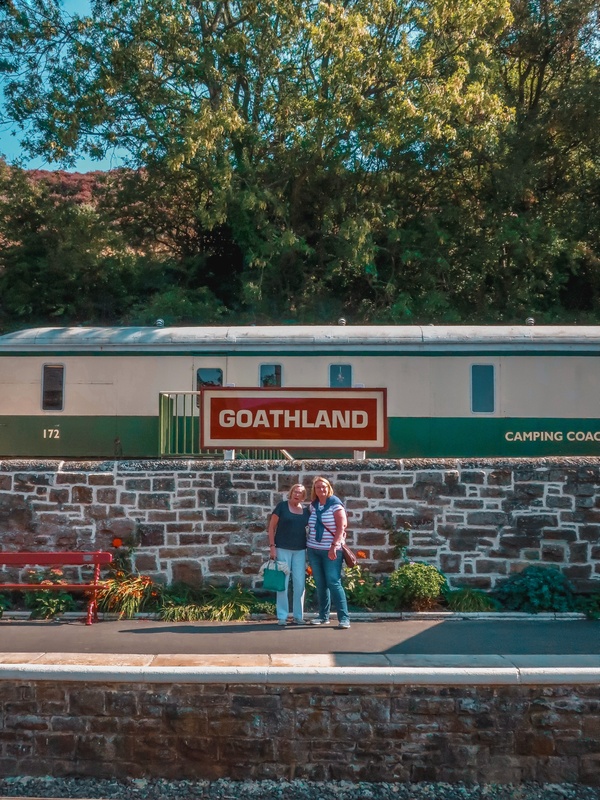 Since I wasn’t in London, I decided to take things a step further and just go straight to Hogsmeade – and when I say Hogsmeade, I mean Goathland Railway Station. 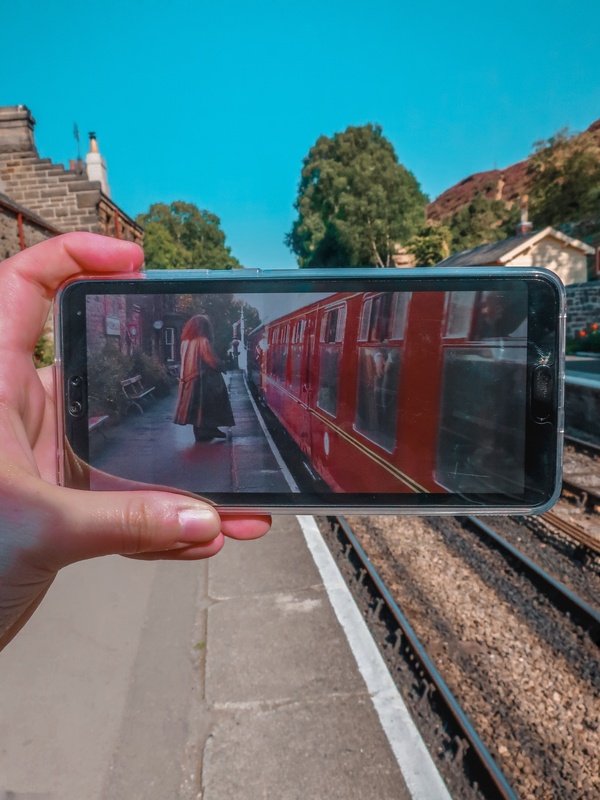 Goathland was used in the Harry Potter movies to film the station scene’s where pupils jump off the Hogwarts Express to head to the castle. In the first movie, you see it when Hagrid greets Harry, leading him to those lantern lit boats, and it pops up every now and then throughout the franchise. The station itself is literally in the middle of nowhere, deep in the North York Moors. You can actually catch a train to the station if you’re heading from Pickering to Whitby. We didn’t do that this time around because we had a lot of other places to visit and needed our car for that, but we were lucky enough to be at the station when a train pulled in – it looked exactly like the Hogwarts Express. After having a coffee in the little café, we wandered up and down the platforms which were lined with the cutest red lampposts, taking far too many photos. It really was the loveliest station I’ve ever visited. They even had a small shop, filled with Harry Potter themed goodies which I could have easily spent hours roaming. The only thing I couldn’t find was Hogwarts itself – maybe I’ll need to head up to Scotland next for that one. Thank you so much Mariah ❤️ I thought I might have shared a few too many, but I took loads of photos and wanted everyone to see them all haha. So pretty! I’d love to take a train there. 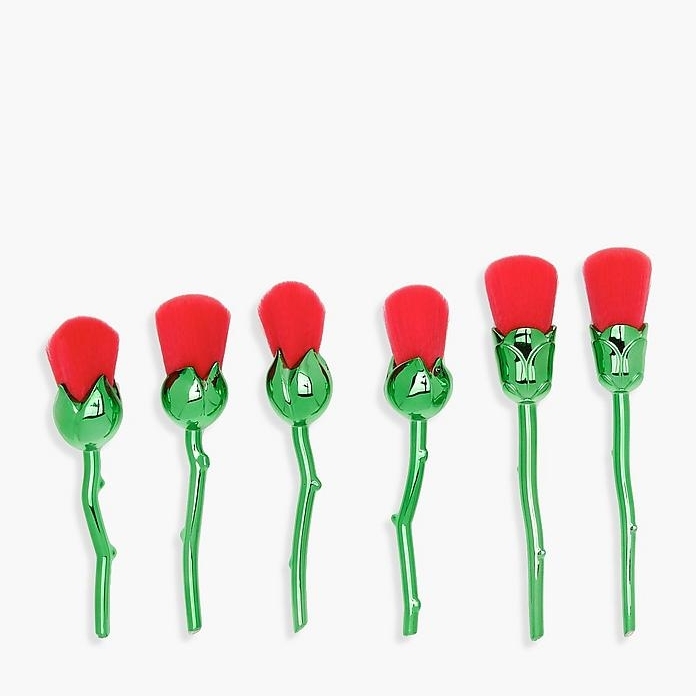 It sounds so cute. Same. I’m definitely going to have to go back for a train ride some day. Thank you – yes the weather was amazing. It was a little surreal being there on such a nice day, in the middle of no where. It felt like I was actually in a movie. Definitely don’t have these kinds of stations in London or down south. I think it might actually have been turned into a Hornby train set. This is the station where the Santa Express comes at Christmas time, and I’m certain I’ve seen a set with the santa express train.